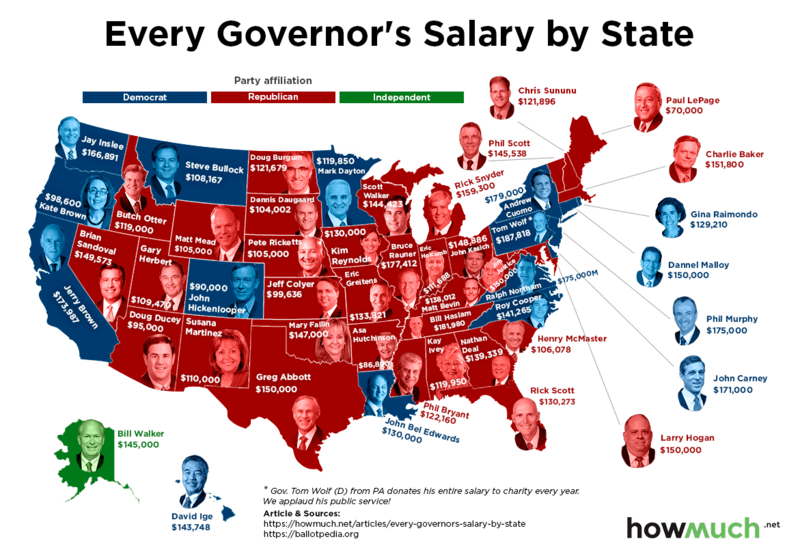 Using data from the nonpartisan voting information site Ballotpedia, HowMuch.net has put together a map showing the base salary of every US governor. Each state is colored by the governor's party affiliation, blue for Democrat, red for Republican, and green for the lone independent governor in Alaska. 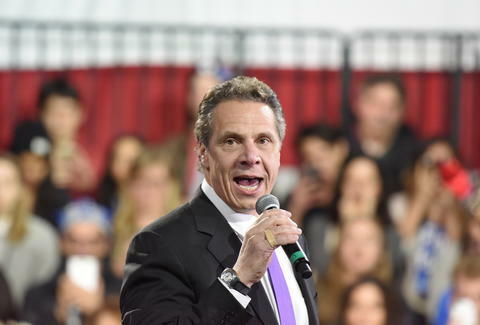 The cost of living differs from state to state, but the gaps in pay between states is pretty significant when you extrapolate the governor's annual salary over a full term. Governors serve four-year terms in every state except for Vermont and New Hampshire where the terms last two years. As HowMuch.net notes, the gap between the highest paid governor, Pennsylvania's Tom Wolf ($187,818), and the lowest paid, Maine's Paul LePage ($70,000) is big. It puts that gap in a different perspective when it's taken over a full term. Wolf's salary over four years is $471,272 more than LePage's. In that example, it's worth noting that Wolf, who was a wealthy businessman before being elected governor in 2014, donates his entire salary to charity. Take a look at salaries across the nation below. Here's a look at the top five highest governor salaries in the US. And here are the five lowest.